American Black Walnut veneer, factory finished in clear satin lacquer with colour matched square groove detail. Medium weight, semi-solid core with real Walnut lippings to allow for on-site trimming. A stylish art deco esque design that will revitalise any home. The Pisa range is available in a wide range of sizes including, standard, glazed and fire rated versions. This door is a contemporary style door that should look amazing in any modern home or office. It features Ebony effect contrasting groove detail and has been manufactured using black Walnut veneer pre-finished in a clear lacquer. This door is of a semi-solid construction but still feels robust and sturdy and offers great value for money. PISA Walnut is in the category of a modern door that will look exquisite wherever its placed in your home and yet provide great value for money. 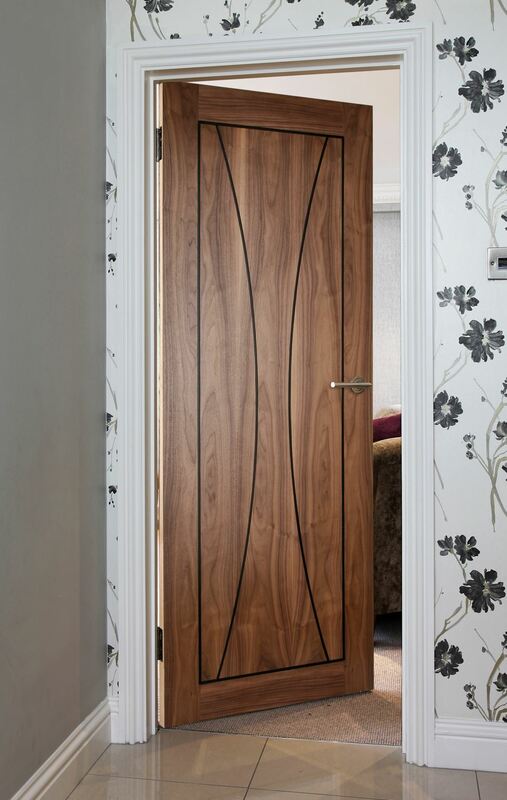 Finished in American Black Walnut veneer and clear laquer this door is of a contemporary style that will look stunning in any home or office. 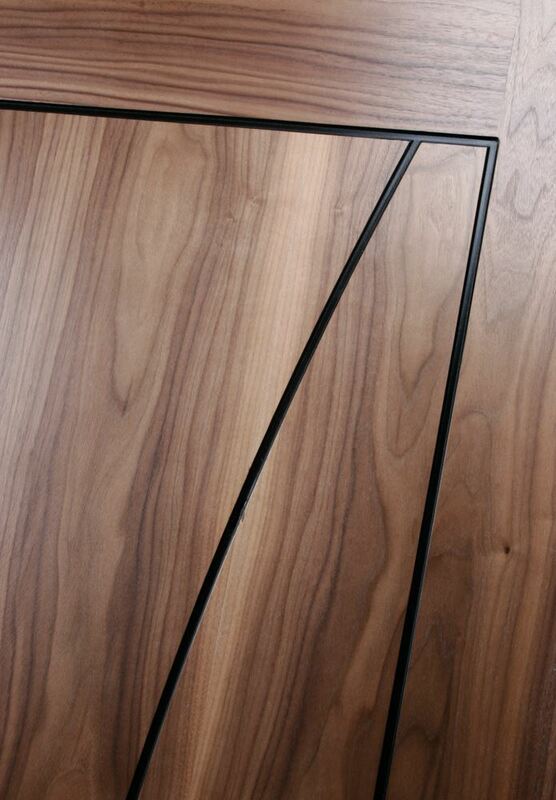 Additionally, the door features Ebony effect contrasting groove detail. Being semi solid and having a medium weight, the door provides great value for money yet feels robust and sturdy. Certainly a door that is worth considering if you're on a budget or indeed if you're not! Highly priced and poor quality products is a no no buy.